Although I secretly knew Yuko was the actual powerhouse of awesome cuteness everlasting, I have long held that Atsuko should remain as the AKB48 leader just because she is the leader. And even though she got voted down to second place (by people who received a voting form, having purchased a recent CD of theirs, and sent it in) Yuko is now in the #1 spot officially. Although I like Yuko the tippiest-toppiest-mostest of any of the AKB’s, I don’t think she’s leader material honestly and just just let Atsuko handle all that stuff and stick with as it had been. The rest of the other rankings and such (that I’m not really at all concerned about) can be found here. 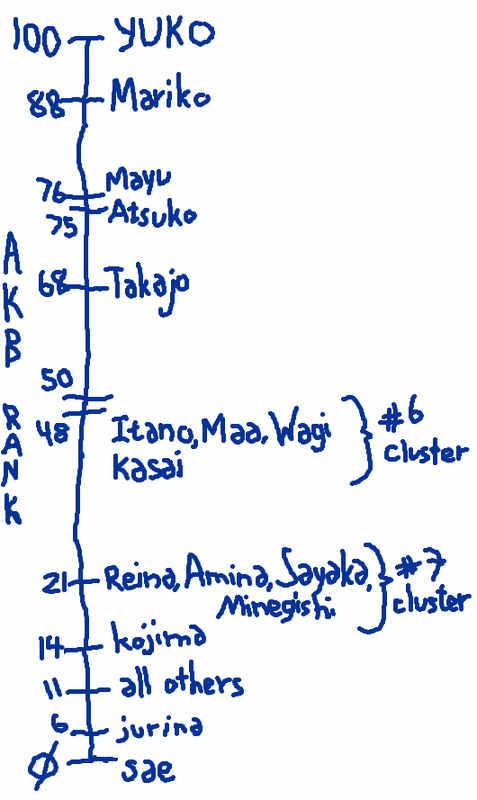 My New AKB48 Ranking Appears!